Data Visualization is not a new field for Business Intelligence (BI) professionals – every provider now offers some level of data visualization functionality. But what about network (or ‘graph’) visualization? What impact could exploring connections have on BI? Networks can be used to answer almost any question involving a connection; from finding fraud patterns to understanding customer churn. 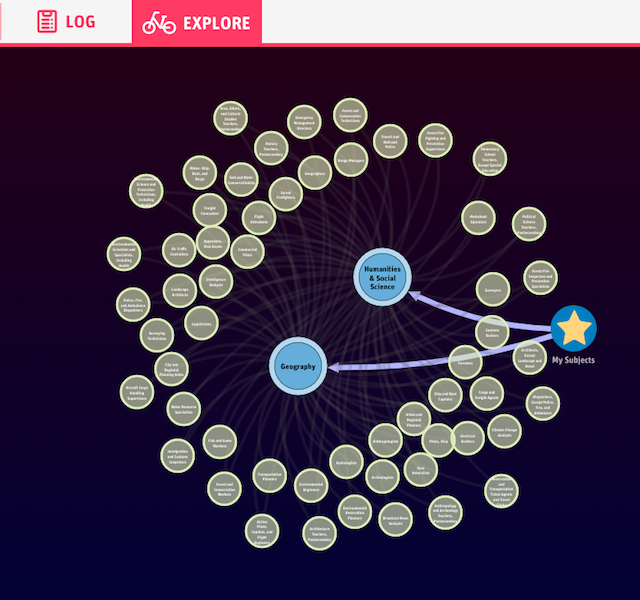 Connections – data connections are made explicit, helping to show causality, hierarchies and influence. The purpose of Business Intelligence is to provide the information a company needs to make intelligent decisions. Data silos are major barriers, limiting reporting power and leading to bad decisions. 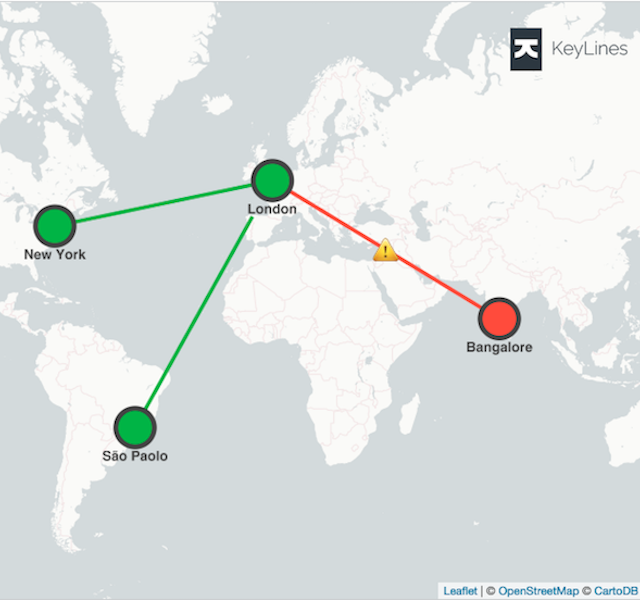 KeyLines can present data from multiple sources as a single visualization, generated in real time, or taken from historical information. This completeness adds value, can reduce data processing time and, ultimately, saves money. The next step is identifying and isolating the data you need. This is often a manual sifting process to find anomalies. With KeyLines’ analysis tools, this process becomes faster and more intuitive. Sophisticated data and node combining and powerful filters allow users to drill down and find data that tells the real story. Layouts can visually isolate outliers and anomalies. Using the Time Bar component, user can also observe the evolution of data through time and instantly hone in on the most important time periods. Making data manipulation visual and straightforward, KeyLines ensures BI becomes more accessible to everyone. Next your data needs to be understood and turned into insight that can drive activity. Automatic layouts help untangle complex networks, which can be enhanced with social network analysis measures. These show your data in context and provide a 360-degree view. Complicated and evolving situations can be untangled and contextualized, reducing response time and helping your organization take intelligent decisions. Business intelligence needs to be accessible to your decision-makers. 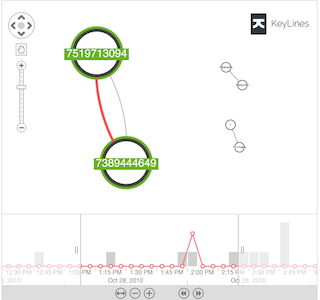 KeyLines Charts can be shared either as image files or as full interactive applications. This helps your colleagues make timely, intelligence-driven decisions more easily and ensures the Business Intelligence team enjoys a higher-profile role. 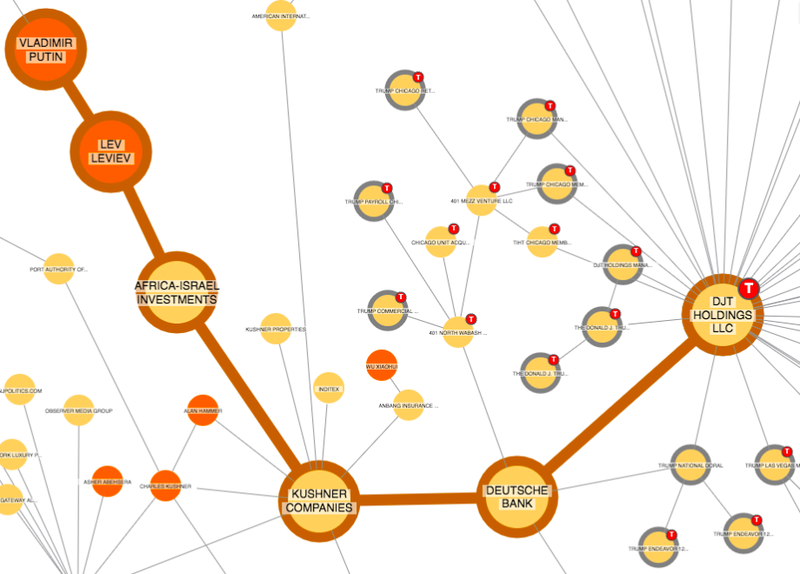 Visualizing the business and personal connections of Donald Trump. Read more.